Breathable - 100% natural cotton velour. Independent figure 8 strap design for support. 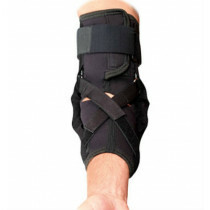 Open heel for greater comfort..
For inversion and eversion control of the ankle, the M-Brace Salto Ankle Stabilizer features a reinforced strap that is applied to the stabilizer using the figure-8 technique. The posterior opening allows easy and painless application. The snug-fitting cotton velour material naturally wicks perspiration away from the body for greater comfort. The M-Brace Salto Ankle Stabilizer #17 fits inside any shoe, and is suitable for traumatic ankle injuries, tendonitis, and subluxations, and may be used for sports as well. Posterior opening in the rear for easy fitting. Adjustable "figure 8" strap locks in the ankle.  Provides constant control of inversion and eversion. 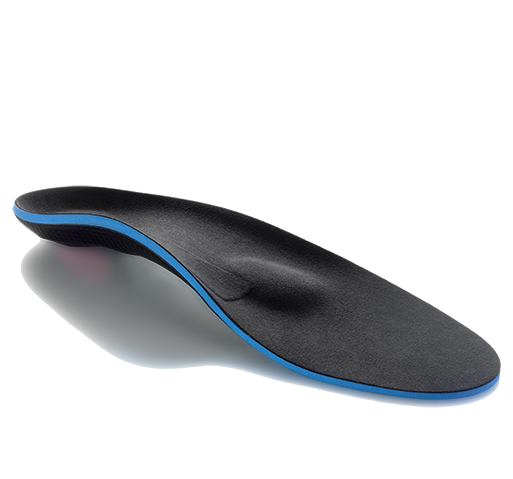 Snug-fitting stabilizer fits inside any shoe. Breathable cotton velour on the skin. The adjustable locking system ensures a comfortable secure fit. Available in five sizes - please see sizing chart tab for important measurement instructions. 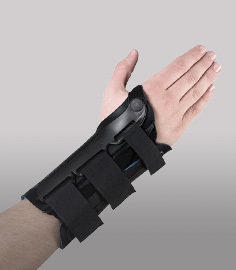 100% breathable cotton materials used in the construction of the brace. Great fit with the material and the straps tightened up. Does a good job. Good support. Comfortable fit. Arrived early - one day. I was expecting three day delivery time. Great service. I have an allergic reaction to latex and have had difficulties for many years finding an ankle brace that I could use for my arthritic ankle. The Salto has been truly marvelous and has given me the support I need to to walk without pain. It gives me the right amount of support and helps my ankle not hurt as bad now.